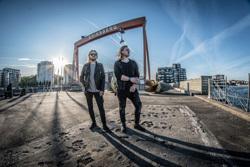 While brothers Christoffer and Felix Borg developed Taste more than a decade ago, they haven't returned to the project since 2013's self-titled debut. 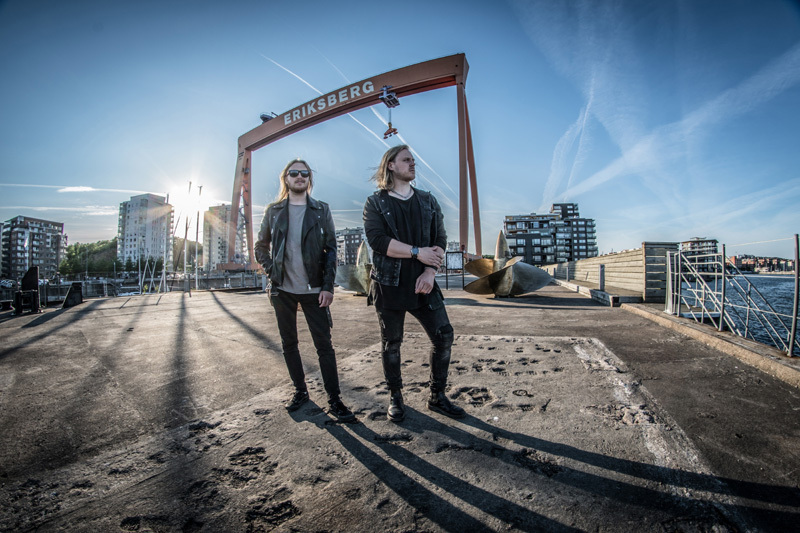 In the meantime, the brothers played with Art Nation and Christoffer became a music producer. Now the brothers return with their second effort, Moral Decay, once more signed to the AOR Heaven label. Musically, nothing has changed for the brothers. 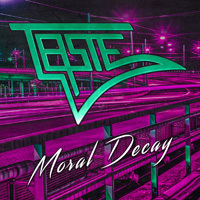 Taste delivers AOR friendly melodic hard rock, powered by a large keyboard and guitar presence. Expanding this a tad more, the vocals are clear, melodic, and harmonious, the rhythm and rock groove abundant and often driving, the synths lavish in embellishment, and the guitar solos soaring. This is true AOR melodic rock ear candy. Mostly, the album and songs remind me of a soundtrack to an Eighties John Hughes movie with John Cusak in the lead role. Ergo, if you're a fan of Eighties classic rock, you'll find something to like hear, or you're simply tone deaf. Gripping and fast rockers come with Alive, Adventureland, The Fire Inside, My Own Worst Enemy, and the riff heavy We Are Back. Piano leads the opening of On My Shoulder, a hard rocker with an anthemic feel and fine vocal harmony. Rainbow Warrior merges a large synth layer with big riffs and boastful drums for another fast paced rocker. Alternatively, a fierce guitar solo opens the moderately paced, yet forceful, Lost In Myself. Something of a ballad comes with Sixteen Years, rising with vocals over riffs and drums to a soaring guitar crescendo. The brothers Borg lend their talents to the instrumental bookends, On The Run and More Than A Thousand Charades, that open and close the album, respectively. It bears repeating, with Taste and Moral Decay brothers Christoffer and Felix Borg deliver another classy and classic album of entertaining AOR melodic hard rock. Easily recommended. With Taste and Moral Decay brothers Christoffer and Felix Borg deliver another classy and classic album of entertaining AOR melodic hard rock. Easily recommended.